PowerCLI 6.5 was a big release for us. We changed the name to reflect that we’re doing a bit more than just vSphere these days, we fully converted our snap-ins to modules, and so many more upgrades and updates. There are always a lot of asks for it with every release, so I am extremely happy to finally announce the release of the VMware PowerCLI 6.5 R1 poster! The poster features a bit of a new layout, but still features all of our cmdlets and some associated examples. It also calls out the PowerCLI Community Repository, along with some of what it contains thanks to our amazing community members, and some of the PowerCLI focused flings! If you’re looking to print one out, they are best at 39 inches width by 19 inches height. Also, be on the lookout for these posters coming to a VMworld and/or VMUG near you! This entry was posted in General and tagged poster, PowerCLI on February 8, 2017 by Kyle Ruddy. I hope that will fix the issues in 6.5 with profiles and cmdlets from VMware that stip working after we upgrade to 6.5. On the community chat Wednesday it was mentioned that would be ways to get a copy of the poster, can you please share that again? 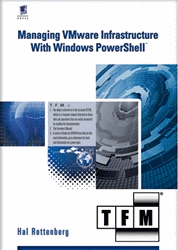 Would love to get a copy at the next VMUG in Boston. If it was mentioned in the community chat Wednesday that would be ways to get a copy of the poster, can you please share that again? Jika Anda ingin memulai permainan judi Togel Hongkong, langkah awal yang harus dilakukan adalah memilih agen atau bandar togel online. Jika anda sudah mempersiapkan modal yang besar, katakanlah 1.000.000 rupiah dan pastikan anda bermain di situs judi togel online terbaik dan terpercaya.